Where is water, there is also a possibility for a leak. 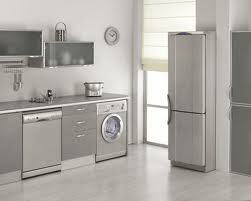 And although nobody likes to point the finger, there are some home appliances responsible for leaks. Take your washing machine, freezer, dishwasher, and refrigerator for example. They all have some relation to water. They are either connected to the water supply or refrigerate it to keep food cold. It’s good to have choices when you shop for a new home appliance, but it’s often difficult to make a decision without having a basic 101 knowledge. Here’s where we step in in an effort to make your choice a lot easier. Gas vs electric! That’s a big question! Sometimes, it’s easy to answer it simply because some appliances are only electric powered. Take dishwashers or fridges & freezers for example! Even washers are mainly made electric today. But what about ovens & stoves & dryers! They come in both types and both have their pros and cons. As long as you can use either type in your home, you should focus on your budget and expectations in order to make a sound decision. When you get a new oven or stove, all you can think about is new recipes. 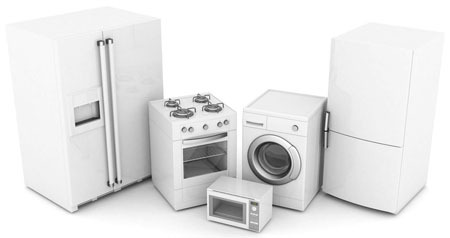 Who would think about home appliance services? But then again, any new appliance must be installed unless it’s a countertop microwave, which only needs to be plugged in. And although repairs are not a concern, there will come a day when you will need the assistance of an appliance technician. If you are looking for ways to repair washing machine problems, remember that not all problems are fixable. Sometimes, it will be hard even to detect what’s wrong with the appliance. And you should always keep in mind that not all models have the same specs and thus the same solutions. All washers might leak but the way you fix each appliance might differ. So, this might be a guide of how to detect problems and fix your washer, but it’s often best to find a local washing machine technician to tackle issues. Everyone would agree that a top load dryer is one of people’s best friends. This special laundry appliance saves us time. We don’t need to find space in the yard to hang clothes or bring them inside to dry increasing indoor humidity and thus the chance of mold growth. Dryers do the job but only when they work right. And they work right only when they are installed correctly and fixed when they malfunction. In any different case, you don’t only risk compromising your convenience but your safety too.